So, what do we want from virtual reality? One of the most powerful VR experiences is the human connection we feel to virtual characters. When a well-realized character looks you in the eye for the first time, it is as breath-taking as any traditional action scene. In Golem we focused on telling a very personal story about an injured child learning to explore the world through her magical gifts, with help from her fearless older sister and their over-protective father. 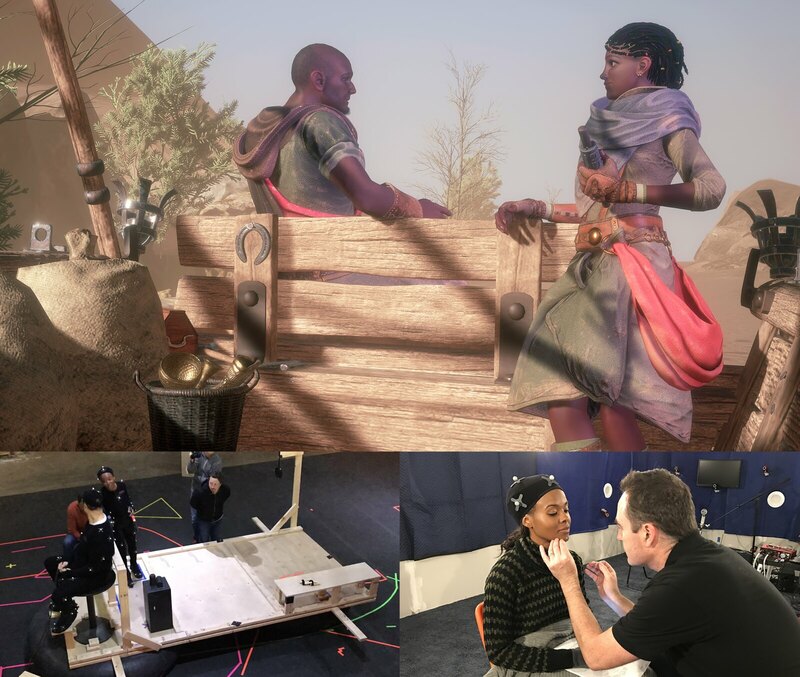 With talented actors and MocapNow’s cutting-edge performance capture techniques, we have tried to bring this family and their struggles to life with subtlety and nuance that would not work outside of VR. Locomotion is a complex problem for VR games, but what we all want is to smoothly and freely explore virtual worlds. So rather than reverting to an analog stick or artificially teleporting through space, we’ve developed an entirely unique way of moving through the world. We call it “Incline Control” and it allows you to move as you would naturally, by slightly leaning your body as if you were about to take a step and start walking. The result is an intuitive control scheme, one that gets out of the way and lets you immerse yourself in the world. 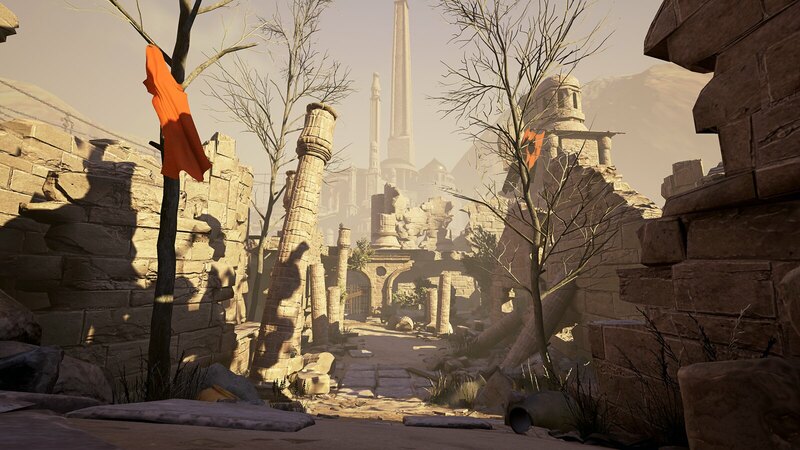 Once you master it, you can move effortlessly through the abandoned ruins of the Endless City, exploring the large open environment full of mysteries, hidden shortcuts and dangerous enemy golems. The final component of Golem’s gameplay was obvious to anyone that has ever spent any time in VR. As soon as the system is tracking your hand, you want to try and punch someone. And as soon as the game gives you something to swing, you want to swing it at someone. Ideally, the game gives you an 8-foot broadsword with a razor-sharp edge. 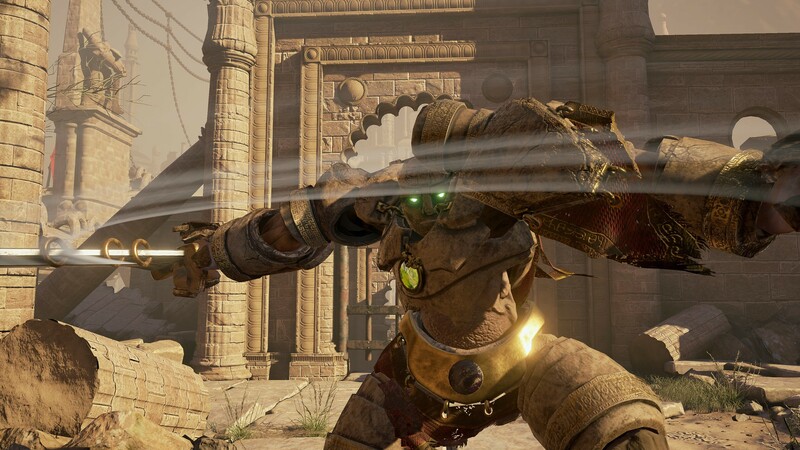 One-to-one melee combat has always been core to Golem’s gameplay, and it is really only possible in VR. Unlike a traditional game, where each swing is controlled by an animation and blocking is as simple as holding a button, in Golem every attack and parry is under the player’s direct control. If they don’t manage to get their sword above their head in time, they won’t block that overhead smash. And if they miss a cut at an exposed limb, it won’t do any damage. It takes practice, but landing a successful counter-attack is incredibly satisfying. Golem has been a challenging and rewarding project for us, and we’re happy to announce that it will be available March 13th exclusively on PSVR. We hope you enjoy playing it as much as we have enjoyed making it! And in the meantime, check out the musical prequel to Golem from award-winning composer Marty O’Donnell at “Echoes of the First Dreamer”. Congratulations Highwire! I’m excited to hear about having a release date so soon! The prequel score is gorgeous and I hope to see Golem break new ground and challenge what we’ve seen VR do in the past. Looking forward to it with eager anticipation! So very much looking forward to this game. Great to hear it’s coming so soon. Thanks for the excellent update & release date. Very much looking forward to this one. Been looking forward to this one for a long time. Can’t wait! Thanks for coming out to PSX in Anaheim. I really enjoyed getting a chance to talk to you guys and having the opportunity to try out the demo. I really liked the look of this game when it was revealed and have tried to keep up with it ever since. Glad to hear it is coming out March next year. Looks like a VR copy of Goliath with less interesting graphic style and on VR. I hope this doesn’t screw up that game’s release on PS cause I am looking forward to that one. It’d be better if it wasn’t on VR.